When do you know your life has changed? 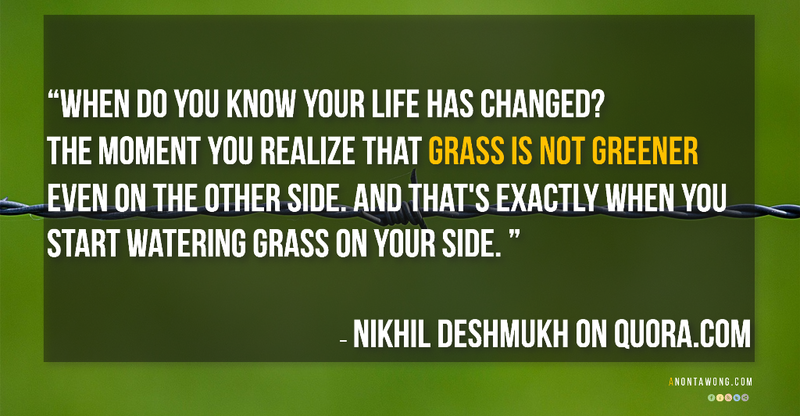 The moment you realize that grass is not greener even on the other side. And that’s exactly when you start watering grass on your side.